The process of re-growth of hair is not very rapid. It is suggested that one must show patience as the transplanted hair takes time to grow. In some cases, there is shedding of hair initially; however, one must maintain their cool and wait for the outcome that you have waited for. Positivity is the key as generally the results are positive. Shedding of hair in the beginning is a general phenomenon and the growth takes about twenty to thirty days. In certain extreme cases, the growth also takes up to 10-12 weeks. 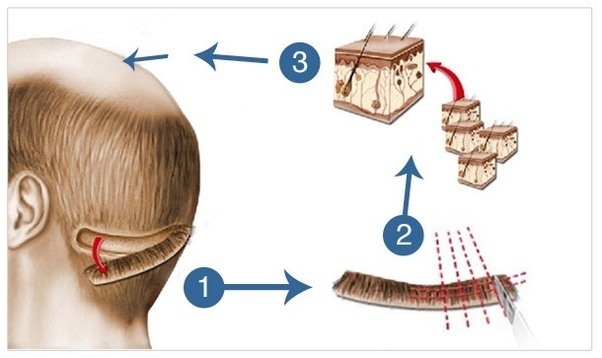 Transplanted hair can be seen growing in the fourth month, beginning with thin hair and then gradually by the sixth month they become dense. So, by the end of one twelfth month, the growth is complete. Punches and holes associated with this cosmetic surgery. To gain the beauty, certain punches and minor holes are made on the scalp. Also we have proved ourselves as best costemic surgeon in India. These are invisible and extremely tiny. 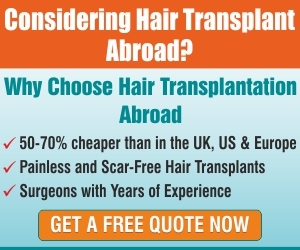 They are needed to be made for the extracting the grafts and then transplanting them to the bald area. The surgical hair restoration often faces the dilemma of having scars or baldness? This is also one of the most common questions raised by the patients seeking counselling or planning the process. Well, the scarring happens in this process; the only difference being that the scars and holes are extremely tiny. They are nearly invisible, and are healed soon with the help of medicines as well naturally. Here, the experience of the surgeon also matters. His skill while making a slit or punch makes it worthwhile to spend the money asked for. All the clinics which are renowned maintain good methods and show good results. In FUE method, a small scar is made at the donor area, whereas in FUT a strip that has hair follicles is extracted. 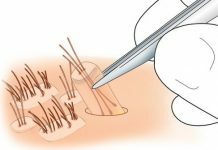 In FUE the grafts which are extracted are transplanted to the bald area by making small punches as opposed to FUT, where the individual follicular units are transplanted. In FUE the scars are minor and are imperceptible, in FUT the wounds are lightly bigger as the entire strip with hair follicles is cut. In FUT the wounds are closed through tricophytic closure technique where staples and sutures are used. No such thing is used in FUE method. A healthy scalp is in a good condition and can sustain surgeries more effectively. The result thus is permanent. The reason why the surgery must be considered by a renowned surgeon is the effects that may result in poor outcome. Improper surgery or an unhealthy scalp can lead to having keloids and hypertrophied scars. The scarring in this case can enhance any other cosmetic problem. The cause if this can be stretching of the skin or thick donor scar. Ideally if the scars are small, less than 1 mm, this may prevent scarring in the recipient area. This will also be useful in making the scar undetectable. Scarring will happen in the donor as well in the recipient area depending upon the surgery and the method of hair transplant. Thus, the surgeon must take proper care while undertaking any surgery so as to ensure minimal scarring and no or less visibility. 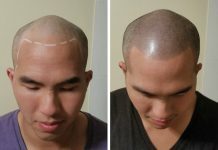 Next articleWhat can you do during the shedding after hair transplant?